I agree with much of what Bjørn Lomborg writes, even though we might disagree on the magnitude of the problem we face. I also agree that investment in research into alternative energy sources, so that they might become genuinely competitive in the market, is far preferable to punishing energy use through carbon dioxide taxes – the carrot as opposed to the stick approach. In the Wall Street Journal, he states the painfully obvious fact that, like Kyoto before it, any global deal to cut carbon dioxide emissions will have an almost imperceptible effect on the climate, and that a simple cost/benefit analysis would always favour adaptation over mitigation. The Durban pit-stop in the endless array of climate summits has just ended, and predictably it reaffirmed the United Nations’ strong belief that the most important response to global warming is to secure a strong deal to cut carbon emissions. What is almost universally ignored, however, is that if we want to help real people overcome real problems we need to focus first on adaptation. The Durban agreement is being hailed as a diplomatic victory. Yet it essentially concedes defeat, leaving any hard decisions to the far end of the decade when other politicians will have to deal with it. For nearly 20 years, the international community has tried to negotiate commitments to carbon cuts, with almost nothing to show for it. Even most rich countries don’t want to cut fossil fuels, because the alternatives are considerably more expensive. China, India and other emerging economies certainly do not want to, because putting the brakes on growth means consigning millions to poverty. « Durban: Phew, planet saved. What's next? Note that CO2 peaks AFTER temperature peaks – by 6-9 months. This seems to be the short term response. The long term response (800 years) may correlate with the time it takes for oceans to circulate. Absolutely! Why do you think neither China India, or the US will sign up to this madness. They have some of the best scientists on the planet. China is going to be opening a coal fired power station a week for the next 10 years, by which time Europe and Australia will have gone bankrupt trying to reduce carbon. The Labor government doesn’t believe in CBA for climate, since it has failed to produce any. If they were an employee in a corporation, a proposal like the carbon [dioxide] tax would have been laughed out of the boardroom. Wouldn’t even have got to the boardroom in the first place. No one in line management would want to sponsor such rubbish into the boardroom. CBA would be part of due diligence – something LIEbor is completely lacking. The climate meme is merely an excuse for screwing more money out of us. 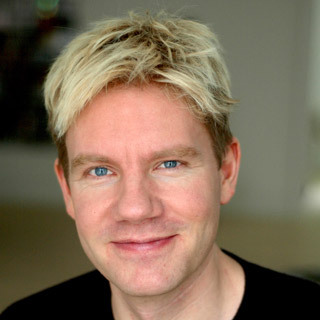 Bjørn Lomborg is my favorite ‘warmist’. Why isn’t it glaringly obvious to everyone who favors cutting carbon emissions [sic] to save the planet from runaway “climate change” that it would be a total waste of time and money? Even the IPCC has admitted that anthropogenic sources of atmospheric CO2 constitute a mere ~3%. Natural sources, over which humankind has no control, account for the balance of 97%. So, even if we could completely expunge all human-caused CO2, it would have an undetectable effect on earth’s chaotic climate system. These decarbonization schemes are crazy! I don’t know when or how Lomborg underwent his Road to Damascus conversion from skeptic to CAGW believer, but his promotion of adaption rather than mitigation was and is the only rational approach. Whether it be adapting to a warming or, more problematic, a cooling climate. Where I think Lomborg is wrong is in his promotion of targeted government sponsored alternative energy research. Such a measure would inevitably be little more than switching the points to direct the “greenhouse gravy train” onto yet another track to nowhere. Surely it would be better instead to promote research per se by measures such as generous taxation concessions for privately funded research rather than public grants funded research. Playing favourites with government research money would inevitably guarantee the continuation of a modified version of the host of rent seeking industries we see now. Governments are good at failing, keeping things from working, killing people, and breaking things. Me neither, if you mean some venture capitalists, etc having a go. All “alternative energy” has to do is be more competitive than fossil fuels. When alternatives can beat fossil fuels on an energy expended to energy recovered ratio basis, that is when alternatives will become a meaningful part of the mix, unlike the current renting-seeking charity efforts of wind and solar. Common sense versus political spin, which begs the question … if it were such a significant breakthrough, why does Greg feel the need to bolster it with b.s.? “political spin” is lying. Period. The consequences of those lies are HORRIFIC. Period. A real and very actual problem is that the general population seems quite happy with lying politicians: or is it only that section of the population that votes liberal? Hippies, after all, with their inherent Humanistic ‘relative morality’, have no reason not to lie – its not like it is inherently a ‘bad thing’ for them: end really does justify the means for them. This is likely why the total ban on DDT (as opposed to a partial ban) persists to this very day: the around 40 million deaths that can be directly attributed to it notwithstanding… yet more ‘relative morality’ at work. Of course the Obama’s, Merkel’s, Cameron’s of the world know these things… and do not care, utterly. These people are, for lack of a better descriptive term, demonic in the rawness of their evil: such is what lies under the skin of a hippie.